Spring is a time of new beginnings, growth, and hope. It's also the time of year to clean out the garage and the closets, and discard what's broken or obsolete. Like many of you, I have a love-hate relationship with spring cleaning. Cleaning isn't exactly at the top of my list of weekend fun. But I do get immense satisfaction from clearing out the clutter, reclaiming my closets, airing out and freshening up. The result is a much more enjoyable place to live. 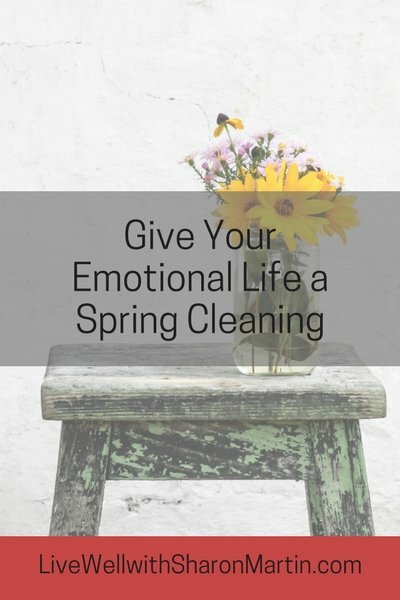 When's the last time you cleaned out your emotional life? Things have a way of piling up in your emotional life as well. Sometimes you don't even notice your feelings. Other times you're too busy or overwhelmed to deal with them. Instead you stuff them in the "closet" like an old jacket, hoping it will just disappear. But emotions only get bigger the longer we try to deny them. The only way to rid yourself of these negative feelings is to let them out of that dark closet and face them head on. You may have learned that certain emotions, such as anger or jealousy, are "bad," and "good" people don't feel these feelings. But we all feel anger, jealousy, hatred, sadness, and lust. You need to allow these feelings back into your consciousness so you can free yourself from them. Periodically you need to sort through the negative emotions, relationships that aren't supportive, attitudes that bog you down, and fears that hold you back. Spring is the perfect time to tackle some of these projects. The weather is nice. There are more hours of daylight. We often feel more energized and motivated this time of year. 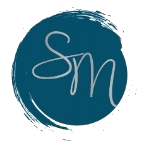 You can reorder your priorities, revisit your New Year's resolutions and intentions. It's time to take stock of what's working and what's not working with regards to your emotional well-being. Just like cleaning your house, you're going to sort your emotional health into three piles: Things to get rid of. Things to keep. Things that you need, but don't have. What's dragging you down emotionally? Pay attention to what keeps you up at night or behaviors you'd like to change. Often, you've accumulated unhealthy habits and unsatisfying relationships and it's just easier to leave them alone instead of trying to change them. Now is the time to change! These things don't support emotional wellness. What needs to go in order for you to be happier? When you hold onto anger toward the woman who cut you off in traffic or you ruminate about whether you're going to be laid off, you let these events take up emotional space and energy. This is space and energy that could be used to create positive, successful, fulfilling things in your life if you free it up. What's missing from your emotional health? And finally, you want to notice what's missing from your routine that would increase your emotional health. Read over the list above and notice which ones catch your attention. Commit to adding one, two, or three of these habits into your repertoire. The most important thing to remember about emotional decluttering is that you need to gain awareness of your feelings, accept them without judging them as "good" or "bad," and use healthy coping skills like those listed above. Feelings are just feelings. None are better or worse than others. Feelings provide us valuable information, but they don't control us. You have the power to unload this backlog of feelings by bringing it to the surface. Take some time alone in quiet reflection, allow yourself to cry and/or yell, or write without censoring until the feelings flow. These can be helpful strategies for many people wanting to gain greater awareness of their feelings.